My husband, Gary, and I bought our first BMW, a 328i hard top convertible, just before the Colorado flood of 2013. It stayed in our carport until the debris from the flood was cleaned up. During our self-imposed exile from driving, we were anxious to learn all we could about our car in particular and the world of BMWs in general, but found few sources of face-to-face information. Until we found the D4C on the Internet. 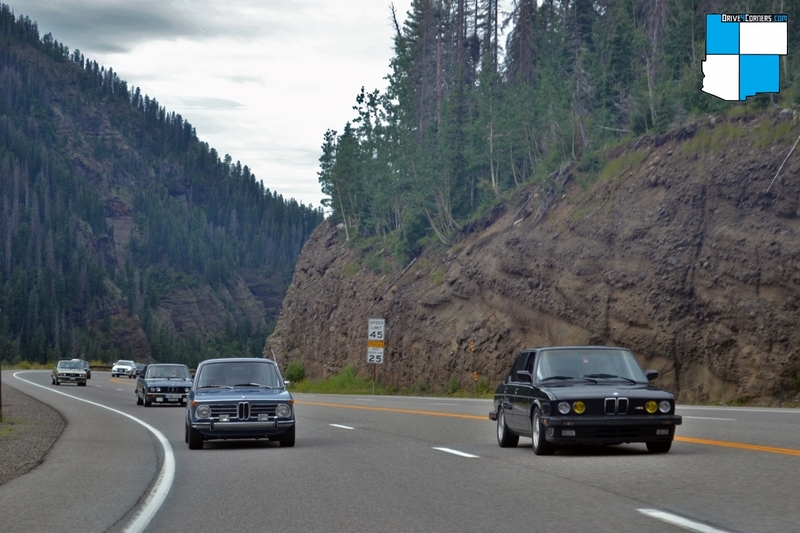 A bit of the Drive 4 Corners history: five years ago, Tom Schultz came up with the idea of establishing an affordable annual BMW gathering and drive in the Rocky Mountain Region. For those enthusiasts interested in making a unique weekend trip, a drive to south-western Colorado was in store. At the first event, there were a mere seven cars for the weekend, but Tom saw the potential in the location, the drive, and the surroundings. Over the subsequent years, with the aid of a group of fellow enthusiasts, Drive 4 Corners grew into a celebration of the marque, including BMW merchandise and other items to promote the BMW community in the region. 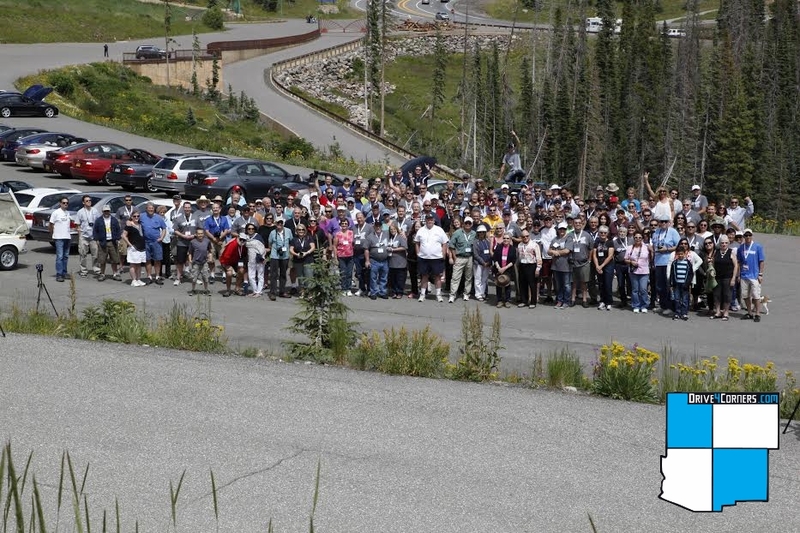 That was exactly what we were looking for, and on August 7th of this year, we embarked on our second D4C tour, meeting the Colorado caravan in Colorado Springs. Honestly, it was like old friends’ week, and we welcomed newbies to the drive as we’d been welcomed last year. The other caravans from New Mexico, Arizona and Texas were already well on their way, and we planned to meet in Pagosa Springs. Top down and the sun quickly warming us, we queued up and headed out to CO-115 S, aka The Vietnam Veterans Memorial Highway. Our mini group of four cars cruised over rolling hills with well-banked curves and, using the passing lanes, was able to easily pass slower cars (including a Porsche Boxster). Outside Penrose we turned right onto US-50 W and drove through another series of rolling hills until we reached Cañon City. Evergreens dotted the hills until we crossed the Arkansas River and drove into the steeper walled valley. 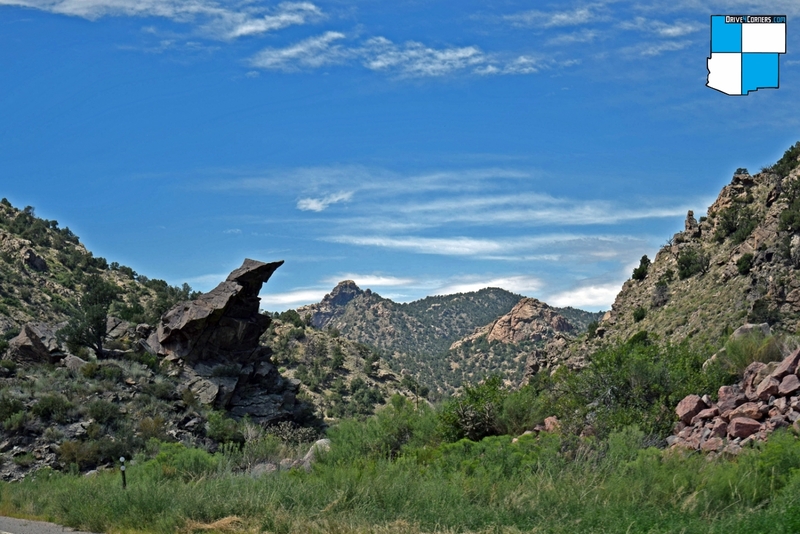 I’ve got to tell you, there is nothing like looking up at a sheer face of rock on one side and a broad river on the other, especially when seen from an open car. Convertibles give you the world in your face. Nothing but air separated us from the canyon walls, the water and the sun. Our first group stop was in Salida, for either a pit stop or a full lunch break. I was getting anxious for the next leg, one of our favorite parts of the drive, to begin. Just outside Salida at Poncha Springs, we took a left on US-285 S and headed up the San Luis Valley with the spectacular Sangre de Cristo mountain range on our left. The clouds, black and ominous, were building over the mountains, but the road in front of us was straight and sunny, easily luring me to press harder on the accelerator, reminding me when I glanced at the speedometer just how easy it was to drive fast and how smoothly the car drove. 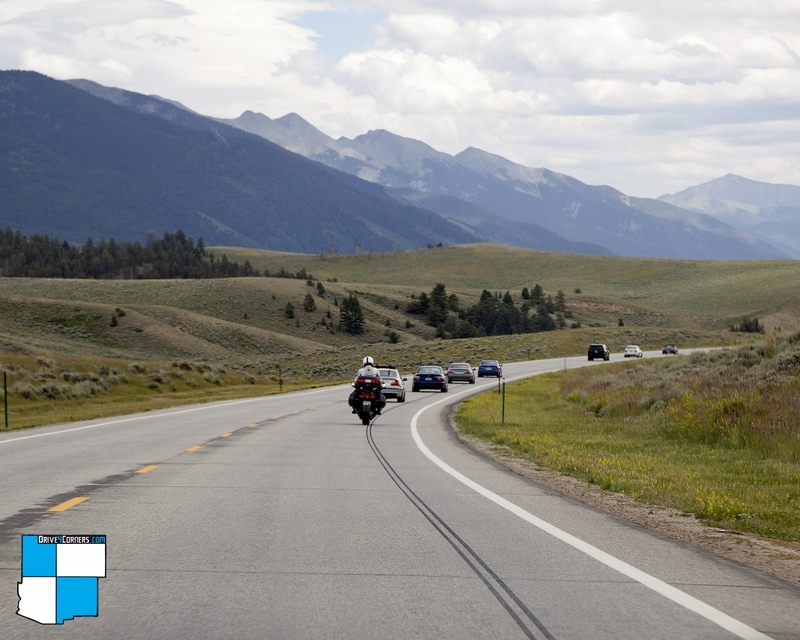 We passed through Saguache and onward, still on US-285 (Gunbarrel Road), monitoring the gathering clouds but still enjoying the sun. We took cutoff CO-112 toward Del Norte, crossing the Rio Grande River. 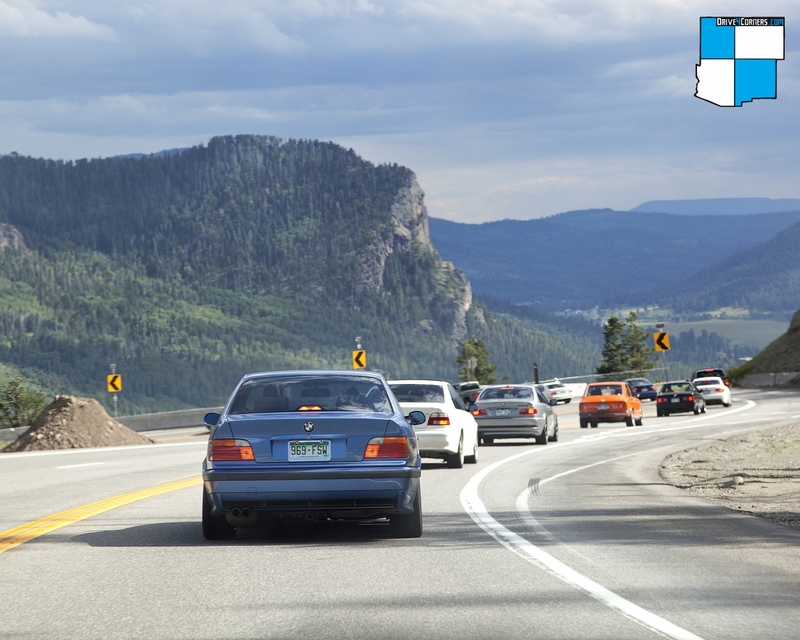 Taking a right turn onto CO-160 W, we passed through Del Norte (elevation 7,900 feet) and now I was getting eager to move faster, knowing the winding, climbing Wolf Creek pass lay in front of us. This is what BMWs are built for in my opinion. 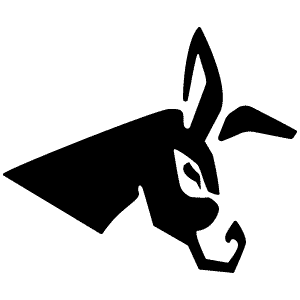 It’s not just the speed, it’s the strength in handling. The knowledge that your car has your back. Oh, I’m not talking being stupid-fast, I’m talking about taking the curves, using driving techniques that bring on the glory of the drive. On the downward side of the pass, our mini caravan had pulled over to wait for us, and together we used the passing lanes to move rapidly down the hairpin turns (I didn’t get to carve them as well, as I was keeping up with the M5 in the lead) and then we were in the long wide valley that led into Pagosa Springs and our hotel. That evening was the meet and greet as the group of nearly 250 people wandered through the hotel’s parking lot looking at 124 BMWs and 1 Mini Cooper that were there for the event. 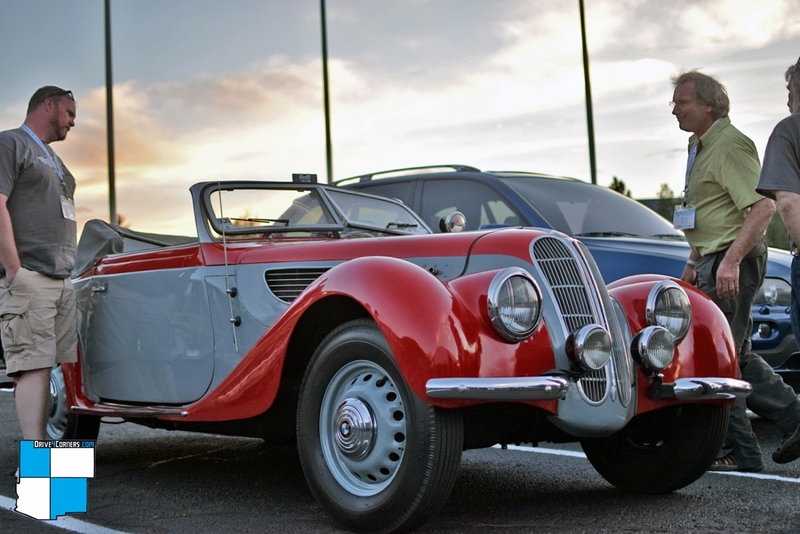 There was even a trailered-in 1937 327/8 BMW causing a sensation. After a rain Friday night, Saturday dawned crisp and clear. 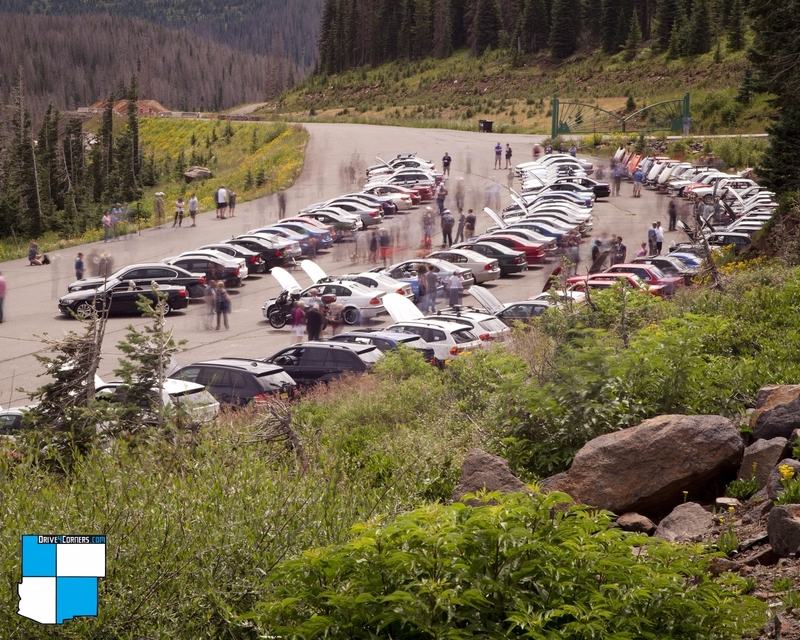 A great breakfast with stellar coffee at the River Pointe Coffee Shop and we were back at the hotel in time to gather for the instructions for the caravan—back up the pass and the photo line up just east of the summit (elevation 10,856 feet) at the ski resort’s parking lot. We were divided into four groups, delineated by model years, with ten-minute intervals between groups. Our group was the last to leave, and I got stuck behind an older VW Westfalia with no way to pass for a long, frustrating time, but eventually I did and sped up the road, loving the cool air with the sunshine as we pulled into the lot. Seeing 125 cars lined up in three rows with the mountains behind us and the valley far below was spectacular. After a group shot (try getting over 250 people together for a photo shoot!) 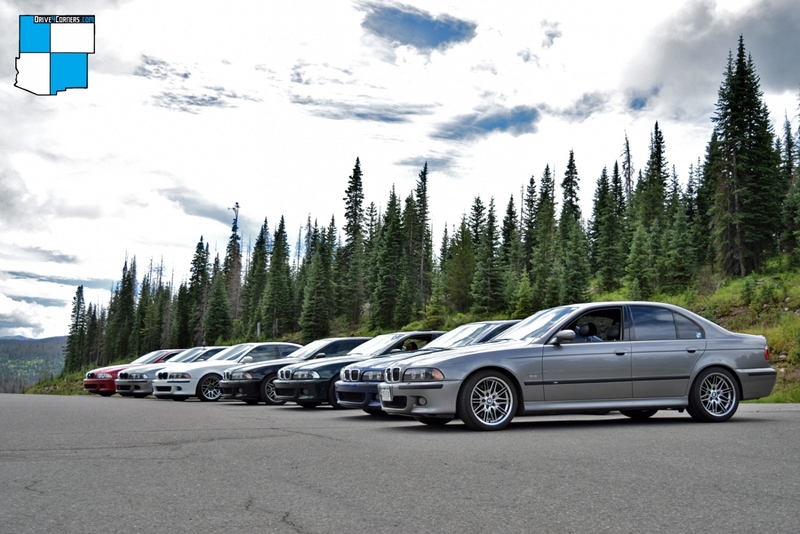 the M5 owners were brought together for their photo shoot, as this was the M5 year and the fifth year of the event. Then the group for the burger run down to lunch at Freeman’s General Store in Creede assembled to leave, and the poker run crowd headed off as well. We decided to head down to town again and take in the river walk. Many of the group headed over to the famous Pagosa Springs Hot Springs to soak in the various thermal baths of differing degrees. Pagosa Springs is a friendly town. People smile as you pass them on the sidewalk. They stop their cars and let you cross the road. Saturday night was the BBQ and awards and really our last night together as many were leaving Sunday morning to travel other parts of Colorado. We stayed for the Sunday brunch and many others attended the Taste of Europe Wine Pairing event later that afternoon. We thought it would be fun but passed because we planned on winery stops later in Grand Junction. The official meet was over, but we still had some amazing driving in front of us on the Million Dollar Highway, another story for another day. By: Leslie Ann Sartor – Action-adventure novelist who lives in Colorado and wanted to share her enjoyment of Drive 4 Corners with others. This article was posted in the Fall BMW CCA RMC “Motorsport Report” and the November 2015 issue of Roundel, the BMW Car Club’s national magazine.